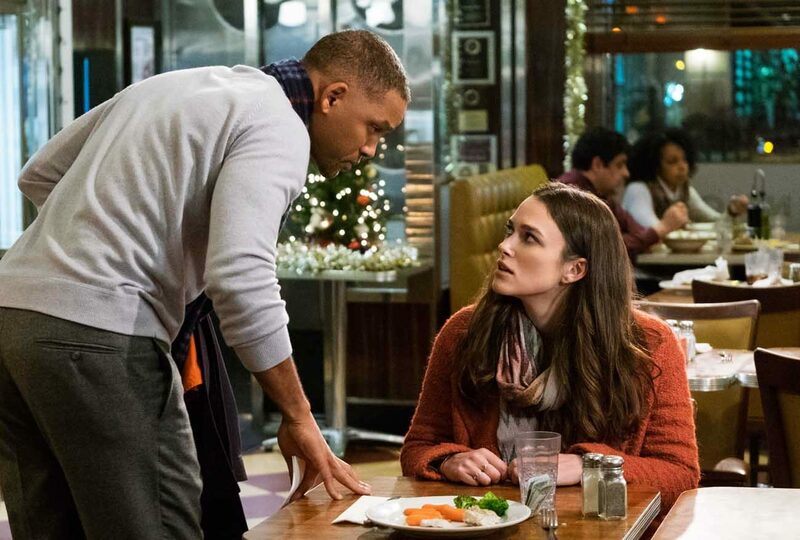 NEW YORK (CNS) — “Collateral Beauty” (Warner Bros.) is a strange, pretentious drama about overcoming grief. While that’s obviously a subject about which a good film — perhaps many of them — might be made, the treatment of it in director David Frankel’s quirky mess of a movie is at once too bizarre and too pat to yield any insights. In response, Howard’s three principal colleagues — Whit (Edward Norton), Claire (Kate Winslet) and Simon (Michael Pena) — hire a trio of actors, vain Brigitte (Helen Mirren), fetching Amy (Keira Knightley) and skateboarding street kid Raffi (Jacob Latimore), to prove that Howard’s distress has rendered him incompetent. And this is where things get rather squirrelly. The thespians are to prove that Howard has gone off his rocker by impersonating the three abstractions — death, love and time — to which, as private detective Sally (Ann Dowd) has discovered, Howard has written, and mailed, angry letters. Sally will capture the resulting exchanges on her mobile phone, the players will be edited out of the footage, and Howard will be shown ranting away to himself. The film contains an adultery theme, at least one use of profanity as well as several crude and a couple of crass terms. The Catholic News Service classification is A-III — adults. The Motion Picture Association of America rating is PG-13 — parents strongly cautioned. Some material may be inappropriate for children under 13.